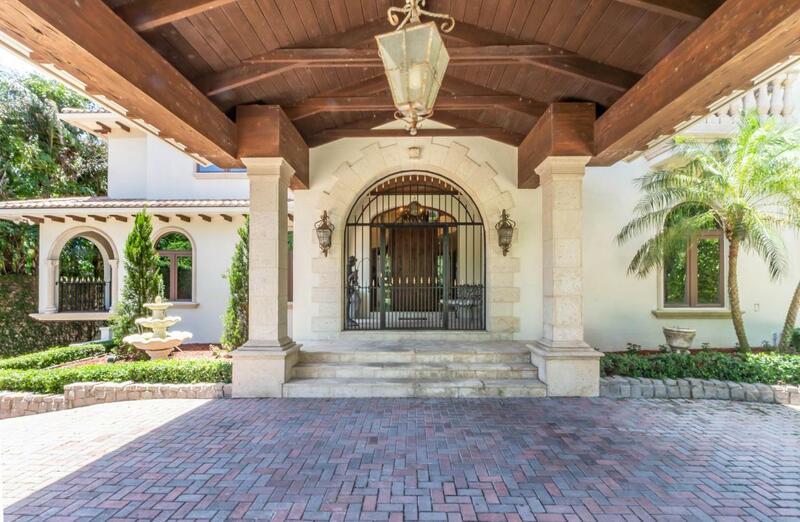 Luxurious, private walled (and self-gated) estate in East Boca Raton, remastered with a high end lifestyle in mind. 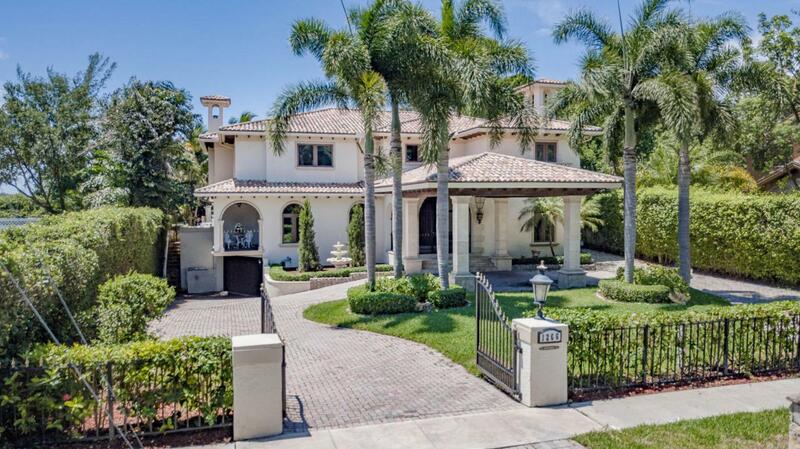 This 3 story iconic villa stands out as a breathtaking example of Palm Beach style and charm. Combining European elegance, contemporary comfort, decorated with great detail, taste and top of the line appliances. Minutes from beach, Mizner Park or Royal Palm Club House. Protected by impact glass throughout as well as a large generator. Whether your family is relaxing in front of any of the 3 fireplaces, enjoying all of the balcony views of the 2 hills in the back or entertaining large groups of 200+ guests with plenty of parking to spare, this is a fantastic relaxing well thought out home. ''Car enthusiasts'' show off your collection of unique cars in the large garage. MORE"Boating" ocean access with a 60 ft. dock with a 25k lb. boat lift and plenty of space to entertain for a dock party. 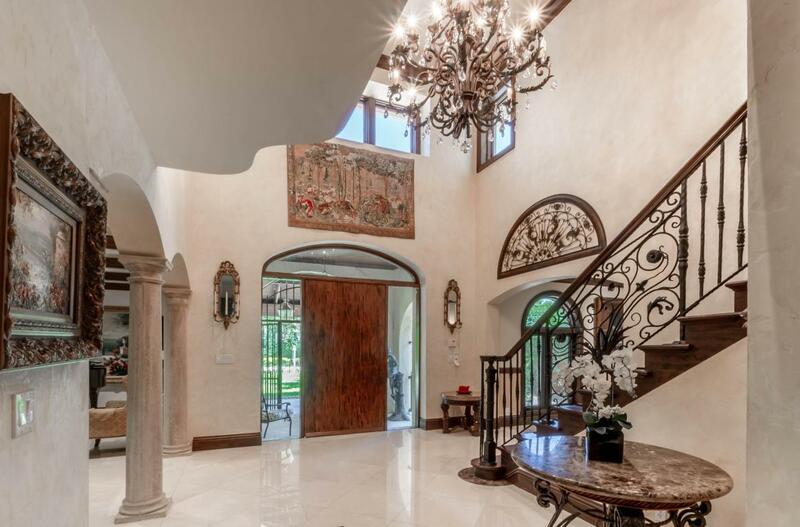 "Corporate owner" have private rooms to stay on site, exceptional living space for entertaining, then take the elevator to the full basement (yes, we said basement in Florida) for meetings, conferences or a workout in the full gym. Current owners use their home regularly for musical events and to entertain for local non-profit fundraising. Many famous artists have performed here and recorded in the studio. It could all be yours!